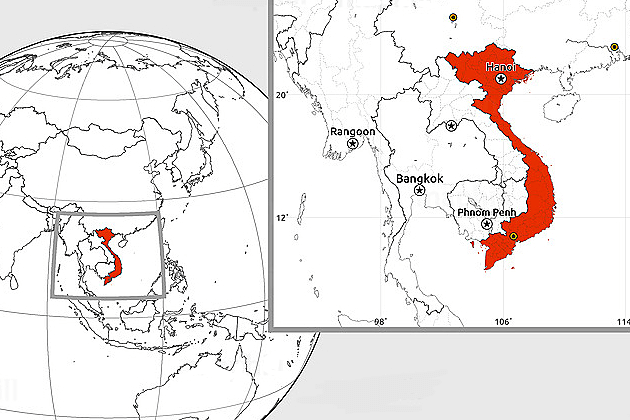 Located in the eastern Peninsula of Indochina, Vietnam borders China in the north, Laos, and Cambodia in the west, the Gulf of Thailand in the southwest and the East Sea in the east and the south. 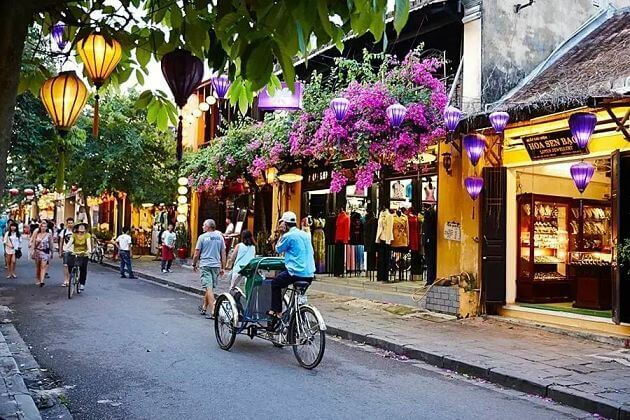 Most visitors to Vietnam shore excursions are attracted by the beauty of nature, a rich culture and history, the graceful beauty of the women in Non La… Travelers are also enchanted by the hustling and bustling streets as well as the simple life of the friendly local people. Vietnam weather differs between north and south. 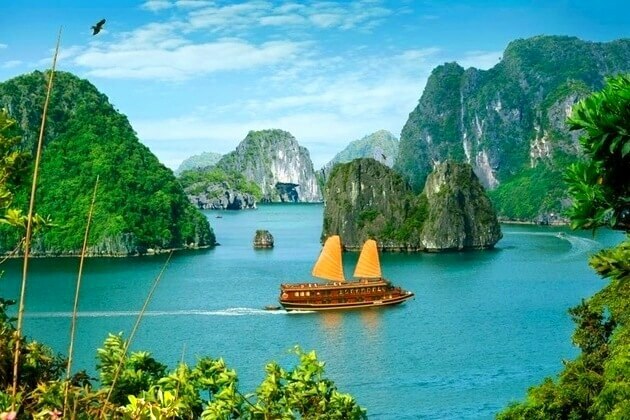 There is no bad time to visit Vietnam day tours from cruise ship. Depending on the time of year and region you can encounter a variety of climates. In any case, regardless of the climate, each region has its own features and all are worth visiting at all times of the year. Asia Shore Excursions operates a variety of private Vietnam shore excursions for cruise ship passengers at all ports of Vietnam. Check out our recommended Vietnam shore excursions, if you do not find any suitable Vietnam day tours or trips, please contact our Vietnam shore excursion experts. We will help you tailor a unique Vietnam shore excursion that is exclusively for you. This Hanoi shore excursion includes visits to major iconic landmarks in this 1000-year-old city. The Hanoi highlights day trip is highly recommended for cruises that dock in Ha Long or Hai Phong for one full day. 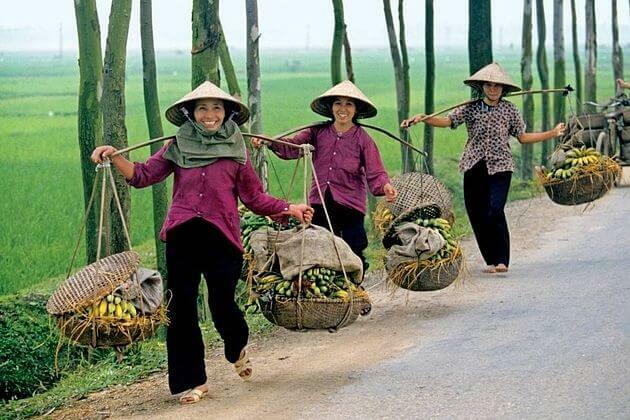 With the agriculture civilization, Vietnam is one of the purest countries in the world. 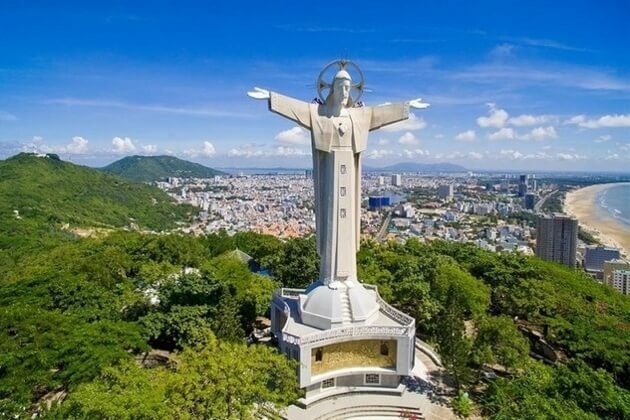 Landing long on about 1500 kilometers with the coastline is over 2200 kilometers, Vietnam shore excursions are must-trying experiences when hopping on any Asia Shore Excursion. 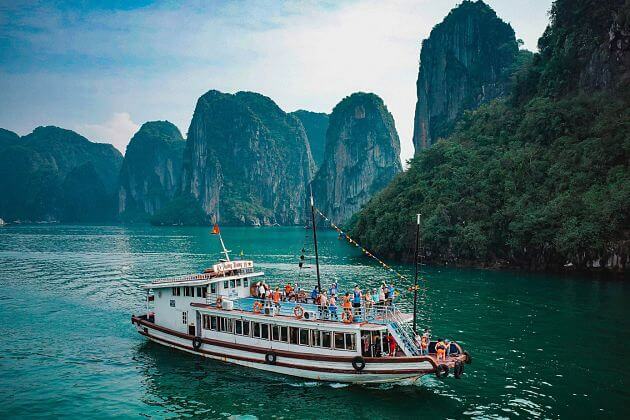 Seem like a pearl of the sea, Halong Bay day tours cannot be eliminated from any Vietnam shore excursion. The bay is well-known for plenty of scattered grottoes and caves such as Heaven Cave, Incent Burner Islet, Amazing Cave and more where you can have a chance kayaking through all of them to experience all of these beauties. The sight inside the cave is breathtaking with beautiful stalactites falling down from the top. Get a glimpse of the fishery life by stopping at Ba Hang Floating Fishing village where fishermen and their families still live in floating houses. Taste the fresh flavor of seafood cooked with traditional cuisine. Hanoi day tours from cruise ship port will be an unforgettable memory in your life. This charming capital hides several ancient mysteries in every corner which you will explore little by little. The Old Quarter lined up by various quaint streets selling every strange thing from handicrafts to daily products. Have a sit to enjoy a morning cup of coffee in a sidewalk coffee shop, and witness the heavy traffic of this bustling city. Then visit Temple of Literature, Hoa Lo Prison Museum, and Hoan Kiem Lake. Learn about 54 ethnic minorities of Vietnam with different conventionalities and features in the Vietnam Museum of Ethnology. The ancient Hue shore excursions include a huge complex of beautiful pagodas and historical sites. One of the most popular spots is the Imperial Citadel which was built in the 19th century. 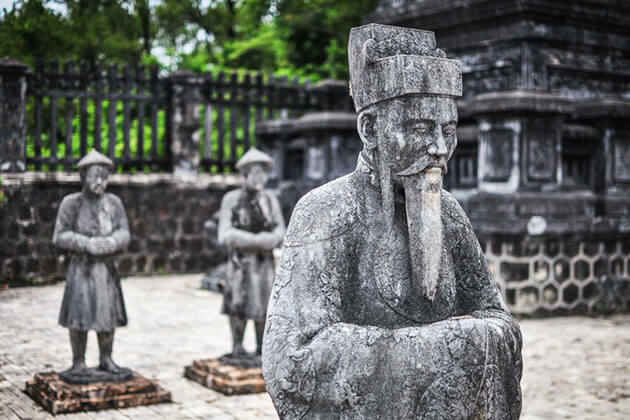 Visit the Royal Tomb of Emperor Tu Duc with the amazing oriental architecture. Experience the local life in the bustling Dong Ba market homed to myriad goods and local delights. 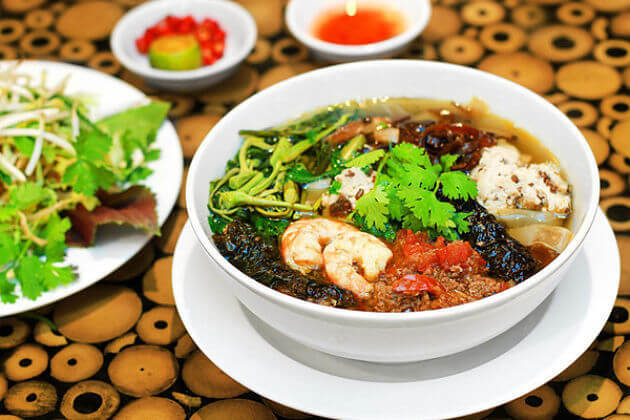 Have a walk and taste Hue cuisine such as clam rice, shrimp cakes with fish sauce, pancakes, noodles made from rice which are widely known with the name “pho”, and have a dessert with fresh tropical fruits served by street vendors. 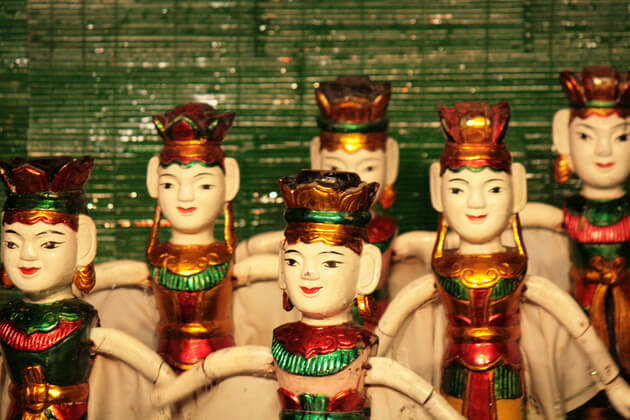 Pick up some idyllic handicrafts and souvenir, your friends and family will love it. 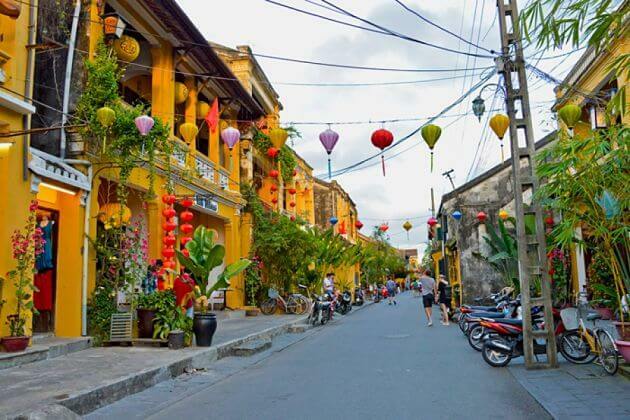 Hop on a Hoi An shore excursion to explore this spectacular city. 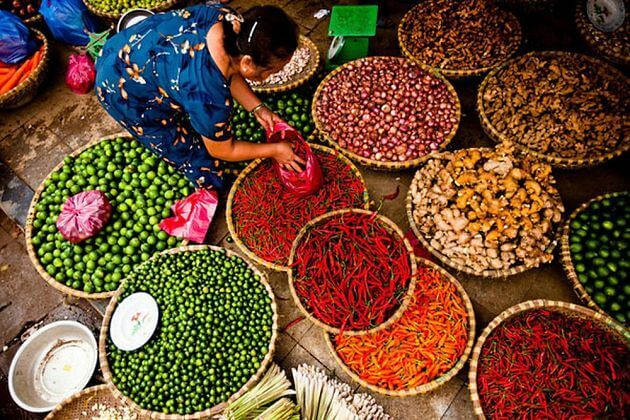 Enjoy a Hoi An interesting cooking class to learn about the fundamentals of Vietnamese cuisine and how to choose fresh fishes, herbs and spices. Have hands-on experience in making a delicious rice noodle, and then taste fresh fruits as dessert. Stroll through several popular historical spots such as Japanese Covered Bridge, Pottery Museum, Tan Ky Ancient House, and Cantonese Congregation, silk street, and a variety of temples and pagodas. Ho Chi Minh is the most popular destination in Vietnam shore excursions. This bustling city has various attractive places. 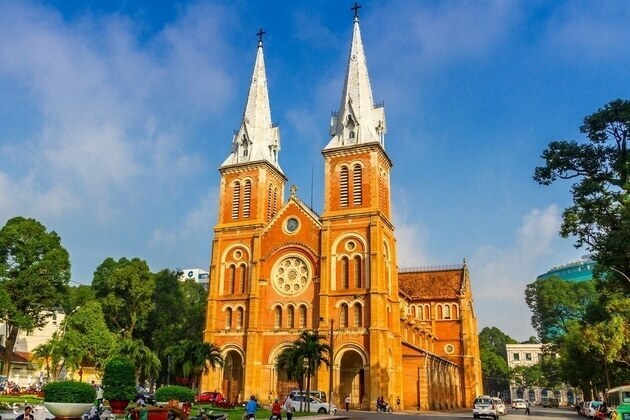 The Notre Dame Cathedral is a masterpiece of the special neo-Romanesque style architecture of Saigon which still maintains the splendor structure made from bricks, tiles, steel, cement, and metal accessories from France. Then head to Old Post Office of Saigon – the combination of Renaissance, Gothic and French architecture style affected by the time being colonial of this country. 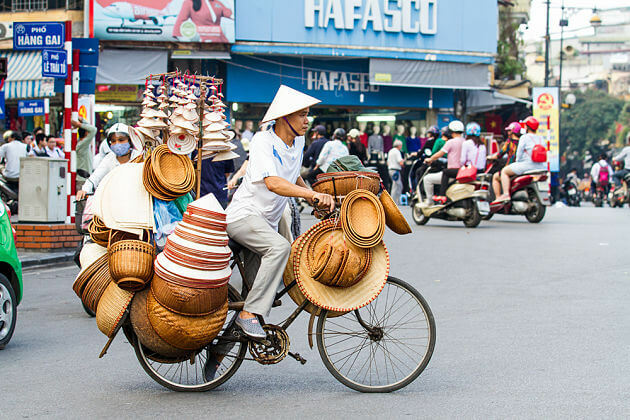 Enjoy free time go shopping in Ben Thanh Market where you can witness the daily life of Saigoners. 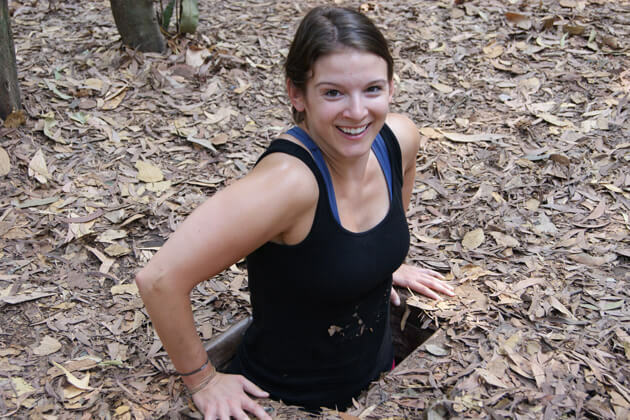 Phu My shore excursion will continue with a visit to the famous Cu Chi Tunnels served as an important part contributed to the glory of the old Viet army against the attack of French colonial. Admire numerous bomb craters made by 500 pounds of bombs falling down from B52 bombers to understand deeply about the bloody war in Vietnam several years ago. A Nha Trang day tour is recommended in any Vietnam shore excursion. 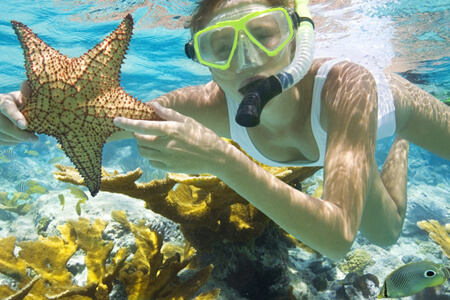 Walk in the Nha Trang Oceanography Institute, you will feel like stepping in the bottom of the sea with a rich ecosystem created by over 20,000 sea species such as reef sharks, clownfishes, lionfishes, coral, turtles, anemones and more. Living the ocean behind with a visit to Po Nagar Cham Towers which are the significant religious relics of Ancient Champa Kingdom. Then enjoy mineral mud bathing in the Thap Ba Hot Mineral Spring Center which is told to give a strong stimulation to the skins nervous center beneath the brain cortex, remove the dead skin cells, and make your skin younger, healthier and smoother. 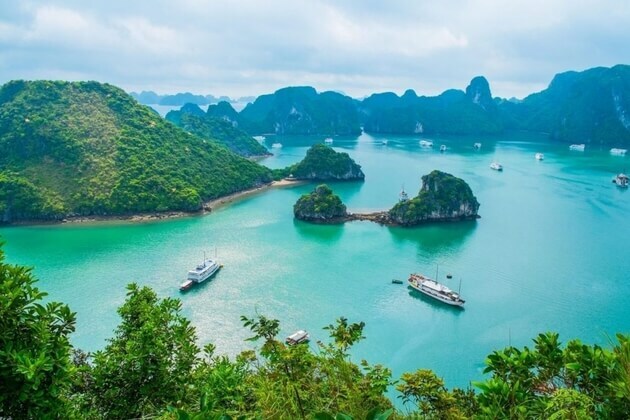 Vietnam has the featured tropical climate with the south and southwest monsoon covers the country during summer from May to September, while the northeast monsoon dominates the wintertime lasting from October to April. In summer, the southern monsoon causes heavy rainfall and high temperature in the entire mainland of Vietnam. If you join Vietnam shore excursions during this time, the rain and heat can cause difficulties to visit attractions and outdoor activities. When the summer passes by, the northeast monsoon dominates the Gulf of Tonkin with moisture and cool temperature which is the best time to visit Vietnam. However, moisture can lead to drizzle rain on dirt roads. Hanoi – the capital of Vietnam – divided into two main seasons: summer and winter. The time between May and September is summer with heat and humidity. The temperature can reach its peak to 37°C while the real feel is nearly 50°C on the street surface and rain can suddenly fall with thunder and lightning, mostly in afternoon. However, summer is the time which has the most hours of sunshine in the year. While winter has cold and cloudy weather with lower temperature, average 17°C, and a little fog in the early morning. 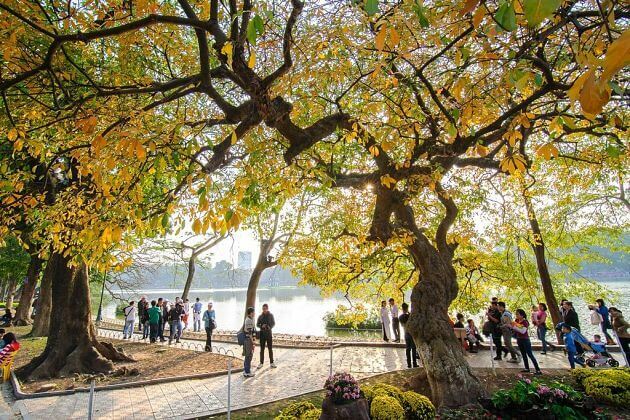 The best time to hop on Hanoi shore excursions is between the months of October and November when the temperature is not too high and lack of rain. Visitors usually catch the sight of Halong Bay in blurry mist. That’s definitely the feature of weather in here. The best time to enjoy Halong shore excursions is in spring and early summer. The bay has blue and clear sky in the time from March to May, but a few months later, the transportation such as cruising and kayaking is a bit difficult to join due to surging sea, heavy rain, and sometimes stormy. The winter starts from December to February that brings cold and foggy weather to the area. For overall, the central coastline is warm all year round with the temperature oscillating from 24 to 38°C. 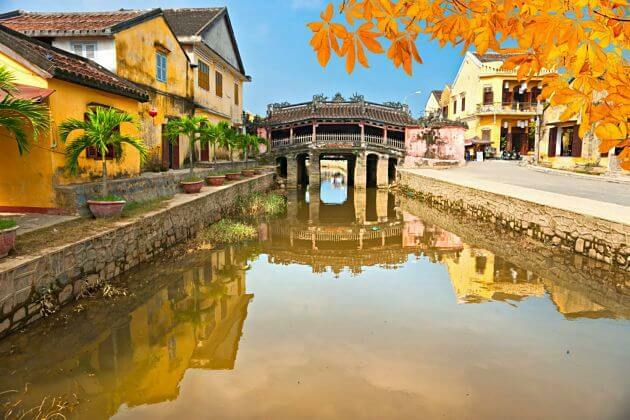 The best time to visit Hoi An Ancient Town and the city of Da Nang is the dry season running from February to July with the later months are hot and perfect to soak in the beach. The rest time of the year is the time of heavy rain, high water level, and typhoons visiting. The southern central beaches of Vietnam has perfect weather with sunshine and warm temperature around 30°C every time you are in here. However, typhoons often visit this city in September leading to rain and drizzly days. 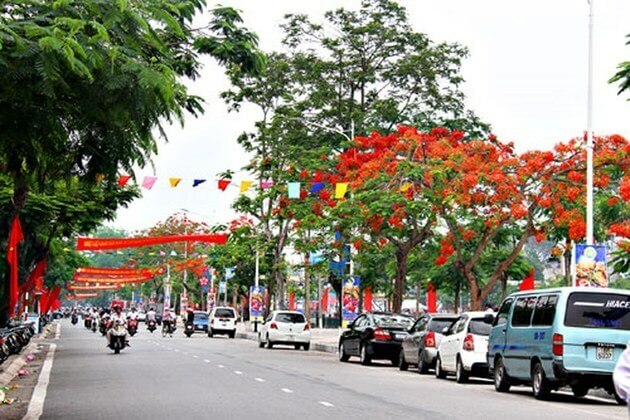 The location near the equator brings Ho Chi Minh City the warm temperatures all year round with the average around 30°C, and sometimes reach its peak of 38°C in summer. The weather here consists of two seasons: wet and dry. While the wet season runs from May to November which causes heavy rainfall, flooding, and traffic jam, the dry season lasts the rest time of the year with rarely raining. However, the wet season brings lush green and fresh scenery to Ho Chi Minh City. Both Phu Quoc and Mui Ne have warm temperature and the wet season running in the time between June and September. Although Phu Quoc seems as having the more rainfall, Mui Ne still experiences some light and storm, especially in the late afternoon. Religions: Folk religions, Buddhism, Catholicism, Caodaism, Protestantism, Hoahaoism, etc. To enter Vietnam, first of all, you have to own a passport with the valid for six months from the date you arrive in Vietnam. Having a passport’s photocopy and scanning then putting into your email account are highly recommended in case you lost the original passport. There are 24 countries with normal passports do not require visas to enter Vietnam from 14 to 30 days, especially Chilean people have 90 days visas free in Vietnam. Chinese, Cuban, and North Korean citizens with passports for public affairs do not require a visa for Vietnam. There are 46 countries can apply for e-visas lasting 30 days with the cost of US$25. Other countries have to own visas before arriving in Vietnam. Passengers from cruise ships hopping on Vietnam shore excursions do not require visas to spend a day trip in Vietnam. Postal and courier service in Vietnam is widely available, fast, and trustworthy. The advice is transferring postcards by the post office or ask your hotel’s staffs to help instead of putting them into letterboxes. Vietnam is rapidly becoming a modern country with telephone connections both domestic and abroad are widely available. In case you want to keep in touch with the rest of the world, you have to pay an expensive price. Spending for a Vietnamese SIM card is cheaper to call abroad. Before put the SIM in your phone, make sure that you have already unlocked it. 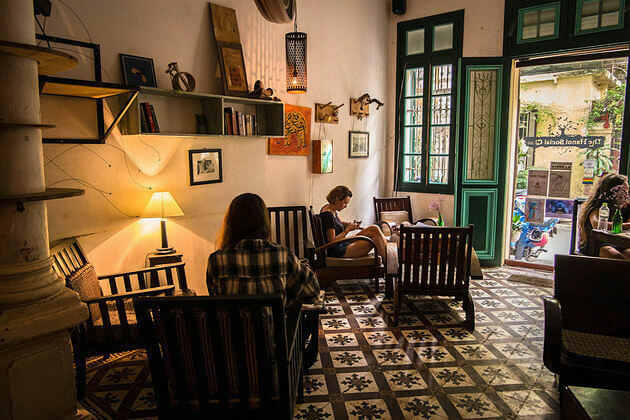 Internet access is widely available in most hotels over the country both in big cities and rural areas, while WiFi can easily be found in most cafes, restaurants, bars, shopping malls in urban areas such as Hanoi and Ho Chi Minh City. 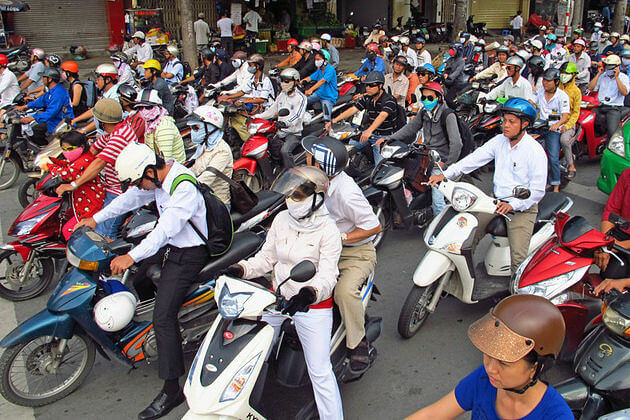 The first ever impression about transportation of newcomers to Vietnam is extremely bad. Crossing through the road can be an impossible mission. With those who have pigeon hearts, they would love to spend their whole vacation in the hotel instead of walking out there and facing streams of bicycles, motorbikes, and cars going back and forth. However, after a bit time to adapt, you can realize it is not too difficult to find a gap and join in the traffic jam. The advice is to follow the locals and the traffic lights, if it is turning red, make yourself ready. The unwritten rule of crossing is predicted when the most suitable time is, and with a bit of bravery, just walk through the road to the other side, people will flow around you like water flow through a rock. In case you want to discover attractions far from your place, you can book a taxi which can be easily found in most big cities. However, you should ask for the price before hopping on, and remember to watch the cash machine to sure that they do not cheat. In many touristy cities such as Hanoi, Hoian, Da Nang, Nha Trang, etc. have the cyclo service for those who want to relax by slowly exploring every corner of the streets with a short scenic ride. Becoming one of the hottest destinations in Asia, Vietnam is a beautiful country with both pure atmosphere and vibrant beat mixing into an exciting harmony. Dotted with splendor mountains, crowded cities, lush green forests, mysterious caves, and stunning beaches, Vietnam’s nature is always worth to spend a long vacation to taste all the shapes. Stepping out from the dark history with bloody wartime, nowadays, Vietnam rapidly modernizes but still remains the traditional values. To prepare for a perfect trip to Vietnam, Asia Shore Excursions would like to recommend some guides that you can have a look. Most people in Vietnam, especially in rural and delta areas, are Kinh people who commonly speak Vietnamese and a little part of them can speak English and other languages. Ethnic minorities can be met in the highland of Northern and Central Vietnam such as Hmong, Dao, Thai, Tay, Ede, Muong, and so on. Each group has its own features on lifestyle, tradition, costume, and cuisine that always make tourists feel amazing when exploring. 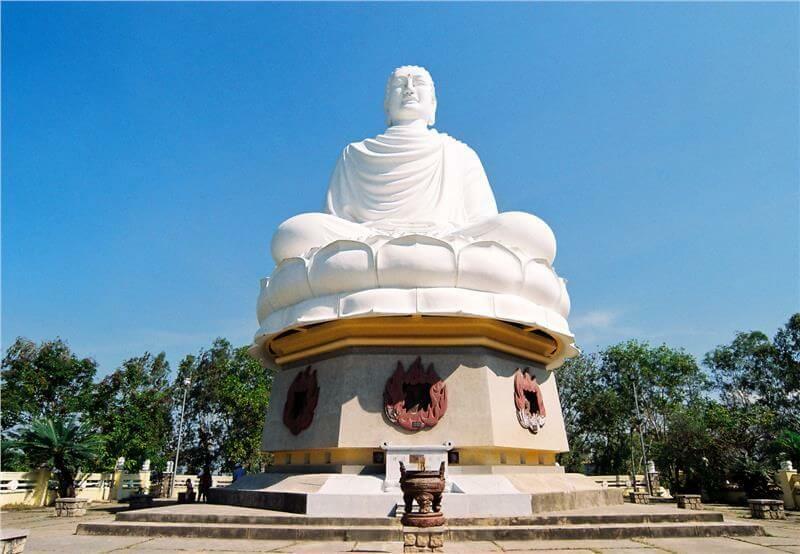 Beside non-religious citizens and Vietnamese folk religion followers, the main religion in Vietnam is Buddhism with followers up to 12% population. Although most people don’t claim that they are Buddhists, they still visit pagodas and practice worshiping activities in important events such as New Year Eve. Other popular religions are Christianity, Catholicism, Protestantism, Caodaism, and Hoahaoism. For overall, Vietnam is a safe destination to travel. There is nearly no terrorism, riots, and political turmoil. The most popular guilty action is scams that can be caught on many streets around the country. Be careful with crazy motorbikes going with over 60km/h like casting in “Fast and Furious”. In big cities, you can find hostels with the price at least $5 per night for basic accommodation and lack of services. A better place is a room in the hotel but at a higher price. The private room starts up from $15 per night for a double room, usually comes with free Wi-Fi and breakfast. Other services have been paid as an expense cost such as transportation, lunch, dinner, and laundry. Generally, food in Vietnam is really cheap but delicious. A bowl of pho or fried rice normally cost 30,000 VND. Street food is always cheaper than restaurants, but safety is not guaranteed. To get a Western-style meal, you have to pay more than 150,000 VND for basic quality of hamburgers, spaghetti, pizza, or salad. At convenient stores, a liter of water is around 15,000 VND, while a glass of beer is 20,000 VND for 350ml. The cheapest transportation in Vietnam is traveling by bus with an average cost is 7,000 VND per ride. Travelers can hop on a long-ride bus which transfers to other cities or provinces with price of about 100,000-500,000 VND. Other transportations to go to another area is by train and airplane. Vietnam has some low-cost airlines such as Vietjet and Jetstar that provide flights around the country. Vietnamese street food can be considered as one of the most typical features of the country. It is delicious, abundant, and really cheap that can save your wallet. Check out some popular food such as pho, banh mi, rice noodles, pilaw, and so on. Fruits sold in street stalls are also cheaper than others in supermarkets. However, tap water is not safe to drink. You have to pick up bottles of water in convenient stores. We all know taxi in Vietnam is not too expensive, but there is a way even much cheaper – bus. Taxi starts at 100,000 VND depending on the distance you transfer but bus only cost 7,000 VND per ride. However, during rush hour when everyone finishes their work and goes home, you can find it difficult to gain a comfortable on bus. So the advice is not to go out on the rush hour unless you have to. There is no foreigner expect better than locals. Vietnamese people are really friendly and helpful. Just ask them anything you want to know, all they want you to pay back is just thank with a smile.